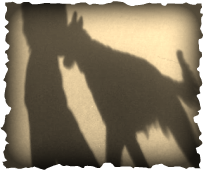 Living with a laekenois is to have a faithful shadow by your side. The laekenois is a very active, loyal and devoted friend, making this is the characteristic that excites me most about belgians. It is not necessary to worry if they are on a leash or not as a true belgian is always aware of his owners location, never letting him(her) leave it's sight. Thus the nickname, shadow. The oldest records that allow deciphering the origin of laekenois goes back to a hard coated, fawn dog named VOS Laeken . 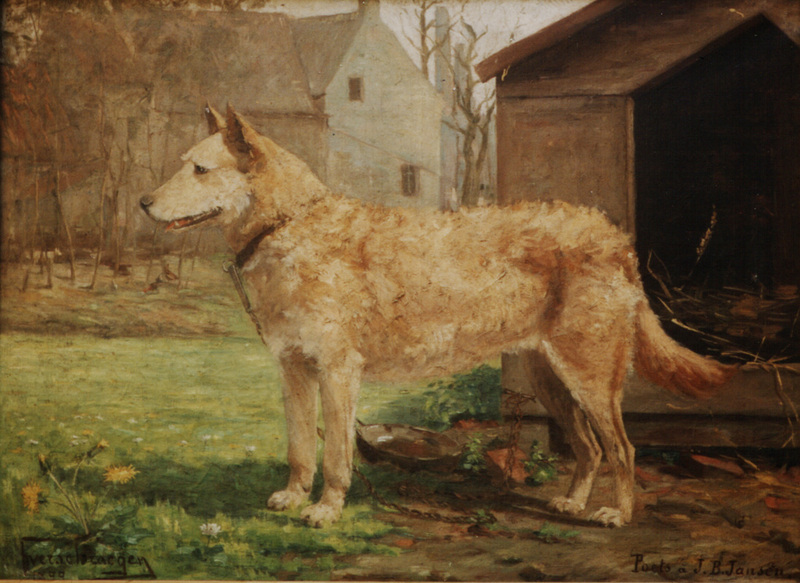 Purchased from a cattle dealer in the region of Boom , this dog belonged to the shepherd Jan Baptist Jansen who lived in the town of Laeken in Belgium. Dogs as Vos were used in the fields where clothing was placed to dry to keep thieves away and were popularly known as " biting dogs". Vos (Also Known as Vos I) was matted to a short-haired brindle female, named Lieske or Liske Laeken. From this combination Diane and Mouche were born , short-haired dogs who played an important role in the evolution of the variety Malinois, Tom de Vilvorde who was grey with hard coat and Spits a female believed to be rough coated. Spits was mated to Vos and Moor, a black hard coated female was born, she is considered one of the first examples of recessive black in the history of Belgian Shepherd Dog. Moor mated with Vos producing Poets (or Pouts ) a fawn rough coated female. Poets was mated with her grandfather and uncle Tom Vilvorde producing Vos II and Belle de Saint - Nicolas these two specimens are the source of many of the Malinois, Laekenois, Dutch Shepherds and Bouviers lines. Although fawn is currently the only admitted laekenois color in the Standard, the first standard of the laekenois only admitted the dark gray color, known as dark gray ash. 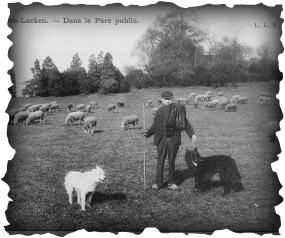 On the 25th of October 1896 , in the journal " Chasse et Pêche " one could read: " The shepherd Mr. Jansen is a longtime breeder whom luck always smiles. He used Poets, Moor and Liske, three females from a very ancient lineage with great breeding qualities. In his breeding dogs are all very similar. He never had the experience of having a dog of a different type as the genetic heritage of their lines is very strong. The large, golden-yellow or brown eyes and well placed erect ears are the two main characteristics, sufficient to recognize a dog of his lines. Triangular ears, open in front and well positioned on top of the head, found only in Jansen dogs are greatly appreciated by those who like this type of dog ." 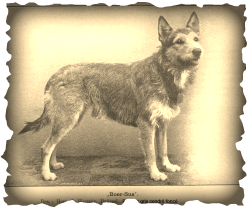 Despite this rather favorable critic to the fawn dogs in 1898 the " Club du chien de berger belge " chooses the dark gray as the official color for the Belgian Shepherd wirehaired variety. The decision to choose dark gray for the Laekenois was thought to have been taken by influences of the breeders of that time that preferred this color, especially Omer Reumon. Nevertheless there continued to exist supporters of the fawn color who kept dogs of this type. 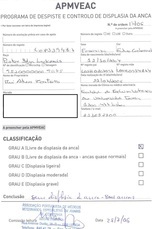 Regarding Omer dark gray dogs A. Peffer an important canine judge wrote: "I remember having visited several times Reumon kennel, he was able to breed some quality dogs from his females. I say some because the rest is junk. I say junk because of the color, most fawn dogs are of optimal quality , while the gray had immense difficulty in reproducing." This review gave more power to the supporters of fawn laekenois that despite being more homogeneous and in accordance with the standard were not accepted solely and exclusively because they were not dark gray. 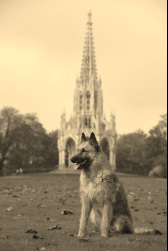 In 1905 an exhibition organized by the "Société Royale Saint - Hubert" 73 Belgian shepherds were shown including 6 hard coated dark ash grey dogs. Only one was within the standard of the breed with others of low quality. 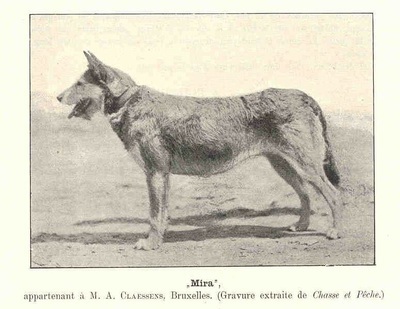 The judge of this exhibition, V. Fally, raised the issue of the gray color for the hard coated variety as having been a correct choice or not and said "Only two dark gray dogs of the correct type, were seen, Mira and Bazoef. Of all its direct and indirect descendants only 4 or 5 dogs are according to the standard. Most are fawn. The existence of a hard coated variety is indisputable, but in my opinion the original color is not dark gray. This issue should be discussed again, with the help of ten years of breeding, a more realistic solution must be found." On July 18th 1898 those favoring the colors excluded in the standard of the Belgian Shepherd, fawn for the hard and long coat, founded the " Berger Belge Club". This club organized 4 exhibitions apart from the rules of the " Société Royale Saint - Hubert ." 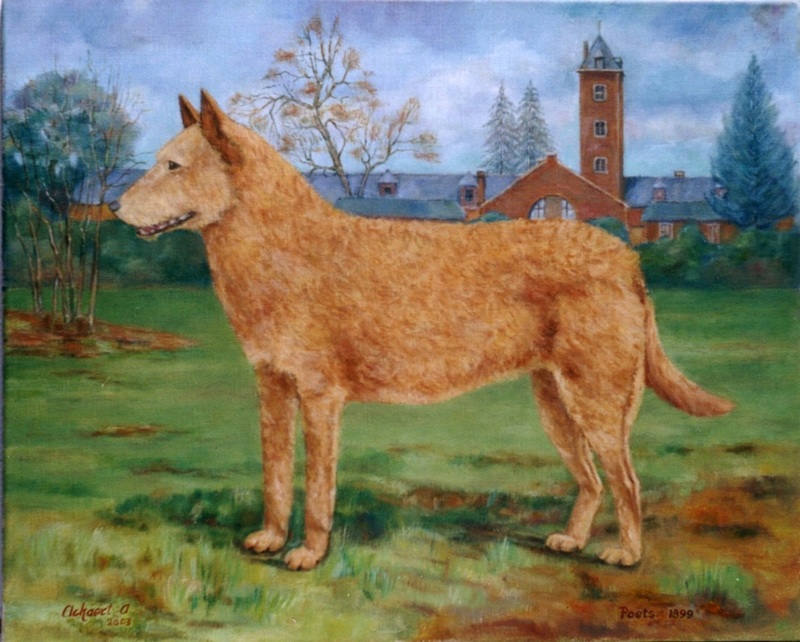 On September 24th 1905 the " Club du Chien de Berger Belge" - disassociated from the "Société Royale Saint - Hubert," and joined the "Fédération des Sociétés Canines de Belgique", thus leaving the way open for the " Berger Belge Club " to be the representative of the Belgian Shepherd Dog. So on May 5th 1907 the club organized its sixth exhibition in accordance with the rules of the "Société Royale Saint - Hubert" . In this exhibition the fawn color, once excluded in 1898 reappears for the first time officially as a color for the hard coated variety. In 1908 is registered in the Belgian stud book ( LOSH ) the first fawn hard coated belgian. There are two theories that support the origin of the term Laekenois to represent the rough hair variety of the Belgian Shepherd Dog. F. E. Verbanck claims that the rough coat fawn dogs have their origin in the shepherd Jansen sheepdogs, whose flock was allowed to graze in the royal park of Laeken. The name of the variety comes from the park's name, thus Laekenois. Another theory suggests that the name comes from the place where the first exhibition of the " Berger Belge Club ", supporters of the fawn was held, in the gardens of the " Maison Rouge " in Laeken. These would be known as " Those of Laeken ... the Laekenois "
The term Laekenois first appears in the standard of the Belgian Shepherd Dog in 1956. The rarest variety of the Belgian Shepherd Dog, is extremely intelligent and obedient. They have a strong territorial and guard instinct. Some dogs may be quite reserved and sensitive, that fact comes mainly from improper socialization as a puppy and young dog. In general, the Belgian Shepherd is known and has the reputation of being a very nervous dog, which does not correspond to the truth. The Belgian Shepherd is an active dog. They need extensive socialization from a very young age. The education must be firm but not stiff; if you have a very rigid and repressive education they will become a non-cooperative, fearful and shy dog. The Laekenois is like the other varieties of the Belgian Shepherd Dog it is a very sensitive dog. A proper socialization, by the breeder, is very important, since done incorrectly affects the dog for life, causing great discomfort and frustration to future owners. If the socialization and training is carried out in a proper manner the laekenois will become an excellent working dog, capable of performing in several venues and activities. The laekenois was bred to be a working dog, or having an occupation. It is an exceptional guard dog, an excellent herder and an amazing companion for children. As a guard dog they are authoritative without being treacherous and do not attack without warning, but will defend to the death their owner and property. As a family dog they can be taken everywhere, since they will behave as long a steady and proper education has been given. A great pet, alert and vigilant, very loyal to their owner and family, needing attention and stimulus to keep a good mental balance. The Laekenois needs to be part of the family reacting badly to life in a kennel. They are happier and making their owner happier if attention, training and companionship is given, because if that does not happen they will be sure to find entertainment, often at the owners expense. The laekenois tends to establish a closer bond with one or two elements of the family but enjoys the interaction with the rest of the family protecting it as a whole. If properly socialized living with other pets and other dogs is not an issue but will tend to be a little dominant. Due to their origin of sheepdog herding behaviors they may have the tendency of circling around the owner as if herding him or other animals also pinching the owner when excited is a common a behavior that simulates the action taken on the sheep to have them move. These behaviors should be channeled into an activity that will keep the dog physically and mentally balanced, such as agility or obedience. The Laekenois is a very demanding dog, it is recommended for experienced owners, with the possibility to spend time with the dog and with a strong personality. When purchasing a laekenois it is extremely important to try to assess their character and level of socialization to avoid future problems that may be difficult to solve. The Laekenois puppies should be educated firmly but not violently due to their sensitive temperament that does not support violence, patience and understanding are the key to success. It is useless to shout for a Laekenois to understand what is expected of him. In conclusion, the Laekenois is an active dog that adapts perfectly to life in the city, in an apartment, provided that the owner has time to for physical and mental exercise. You must have time to provide your laeken with long walks and the possibility of running free to externalize all accumulated energy. A lively banter during the walks between the owner and dog helps the relationship between the two to become stronger and healthier. Being a working dog the Laekenois needs to have a " profession " so guarding the house, doing tricks and learn to fetch things for the owner is vital to mental health. To attend a school where the dog perceives the basic obedience exercises and other activities is highly recommended. The Laekenois coat does not require a great deal of attention to be keeped clean. Naturally self maintained it needs closer attention only when the coat is changing with a weekly brushing. The rustic hard coat does npt have the typical dog odor. To bath the dog once or twice a year should be more then enought, even when we go to the countryside and our friend comes home full of dirt and mud, to be brushed with baby powder is enough to clean it and the laeken is ready for a walk in the shopping center or take a nap beside us . 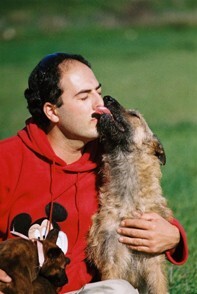 There is the idea that laekenois must be trimmed or pluck the hair when moulting or fix it a little for a dog show. There are still breeders who support this view, however if the dogs are in accordance with the breed standard it will not be necessary because the coat will fall naturally with the brush strokes. We should not forget that laekenois is a working dog and rustic. I do not believe that Mr. Jansen had the time, patience or ability to maintain its laekenois trimmed ot even pluck the coat regularly. The appearance of laekenois should be as natural as possible, RUSTIC with a maximum of 6cm of coat on the body, short on the legs and head. To brush a laekenois only a comb rake is necessary, preferably plastic. It should never be used carder brush or fine-toothed comb because it would tear the undercoat and remove the rustic and dry aspect of the laekenois coat, its main feature. In this chapter the laekenois is among the breeds that less expenses and worries give to their owners . They sometimes have some cutaneous irritations , which is caused more due to a weak maintenance of the coat by the owner then a frequent problem in the breed. 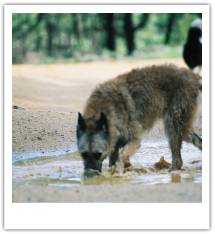 As far as genentic diseases the Laekenois is subject to the typical Belgian Shepherd Dog one's, epilepsy , progressive retinal atrophy, hip and elbow dysplasia and liver problems. However the variety is the one that is less affected by such problems. Laekenois with epilepsy or progressive retinal atrophy are very rare however problems with hip and elbow dysplasia is more comum. Although there are many cases where dysplasia is acquired and not genetic is always to avoid buying a dog from dogs with dysplasia. When thinking about acquiring a laekenois ask the breeder to see the dysplasia certificate of the parents. Dogs with a score higher then B (FCI ranking) should not be used in breeding. Only dogs with A and B should be bred from. I personally like to test the females for the eyes as well but it is not a standard procedure all over the world so it is sometimes difficult to find males that were tested. 1892 - The Club du Chien de Berger Belge 's first draft of the Belgian Shepherd Dog standard separating the three varieties according to its fur, long, short and rough, with no discretion as to the color is written. 1896 - Under the direction of Prof. Reul a meeting takes place with representatives of the 3 varieties of the BSD. The representatives of the Laekenois dogs are Jasen dogs, descendants of VOS I. This meeting aim to admit dogs in the stud book. 1898 - The dark gray color is considered the representative of the rough hair Belgian Shepherd Dog. 1907 - Takes place the first official exhibition of the Berger Belge Club has affiliated with the Société Royale Saint- Humbert where the laekenois of the fawn color are officially accepted. 1913 - The dark grey color as representative of the variety of the roughcoat is replaced by acepting all colors for this variety of fur. 2001 - The standard of the Belgian Shepherd Dog is changed and includes for the first time the lenght of the laekenois coat.